This is a handbook for working in the creative arts, with an emphasis upon imagination and receptivity: to our bodies, to our surroundings, our materials, and to what we create. It will be of value to anyone interested to explore their lives through an active engagement in the arts. It puts particular emphasis upon the sensing, feeling, moving body as a basis for any imaginative activity. The book describes sources and strategies for working within and between various forms of expression, including: moving, making things with materials and writing. It stresses the importance of intuitive, instinctive ways of knowing, perceiving, and creating. The book will be a useful resource for people studying or teaching in the arts, or for anyone whose professional life involves them in working creatively with others: therapeutically, educationally, or in a community context. The book is written to inspire rather than to instruct, to be used in small amounts to stimulate a working process, rather than to be read through from cover to cover. The authors' previous book, Body Space Image (now available again), was about improvised movement, experimental performance, and creating performance settings. 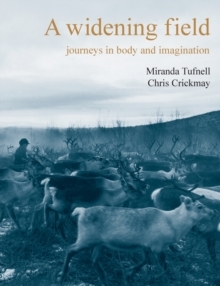 This book turns to the question of imagination in our lives and how this is awakened and nourished through attention to the present, feeling world of the body and to whatever appears as we make. In this way we enter into the poetics of our experience.